Raoul Ruiz, le magicien is a book by Benoît Peeters & Guy Scarpetta, published in Octobre 2015 by Les Impressions Nouvelles. 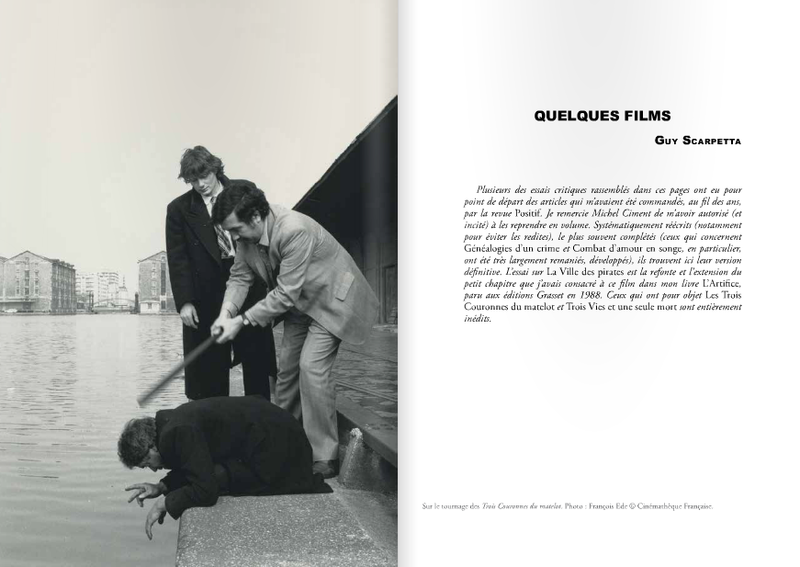 Raoul Ruiz (1941-2011) is recognized worldwide 1), but his filmography remains a labyrinth and information about it is often incomplete and erroneous. 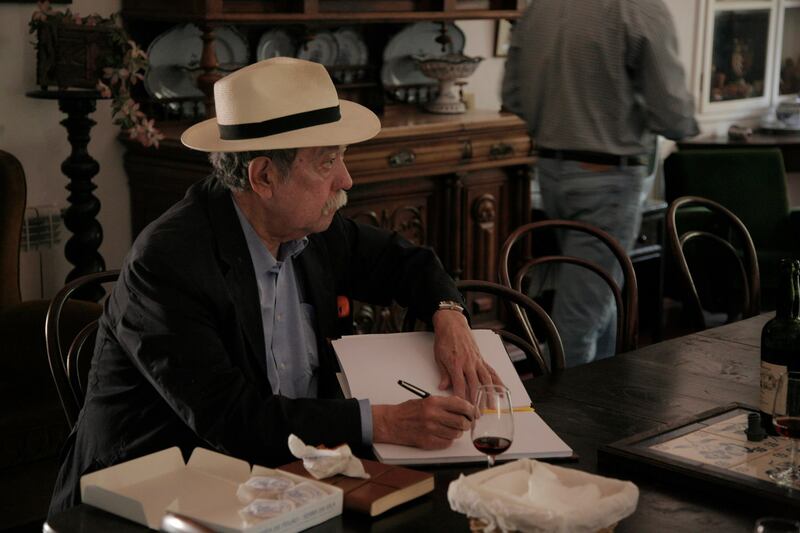 Too often, Ruiz is reduced to his most visible films of recent years (Trois vies et une seule mort, Généalogies d’un crime, Le Temps retrouvé, Les Mystères de Lisbonne), while ignoring the remarkable achievements abound from his Chilean period. This book, attractive and rigorous, will take the measure of a major work of modern cinema. In his conversations with Benoît Peeters, Ruiz talks about his journey alive and in a paradoxical way.After this beautiful portrait, filmmaker Guy Scarpetta provides depth analyses of nine of his most important films. 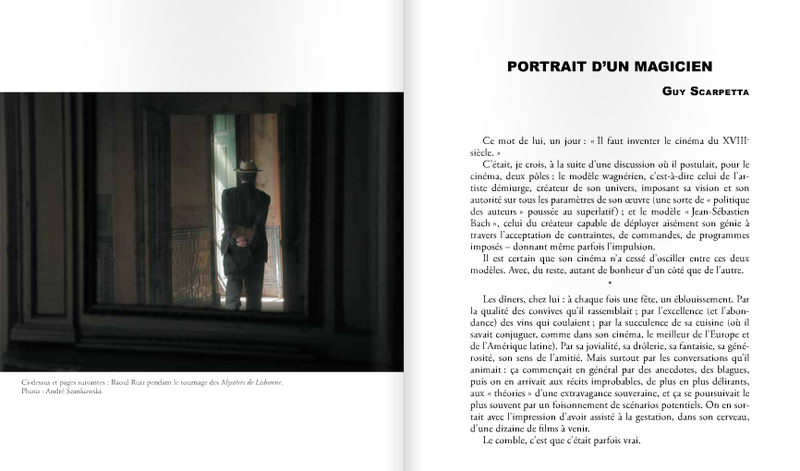 Profusely illustrated, this book also features interviews with actresses and actors: Anne Alvaro, Feodor Atkine, Arielle Dombasle, John Malkovich, Jacques Pieiller, Melvil Poupaud, Edith Scob, Christian Vadim, Elsa Zylberstein and with his wife, filmmaker Valeria Sarmiento. France Culture had an interview with Benoît Peeters and Guy Scarpitta 2) on November 14, 2015 for the program “Projection privée” by Michel Ciment. This program was aired on the day after the Paris attacks 3) but was recorded earlier. Some example pages of the book. 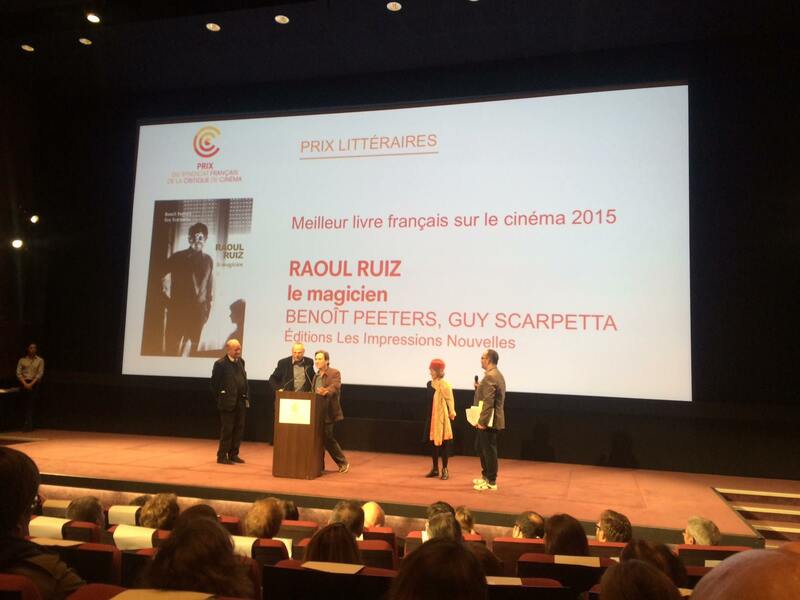 Raoul Ruiz, le magicien won the prize for best French cinema book of 2015 4). 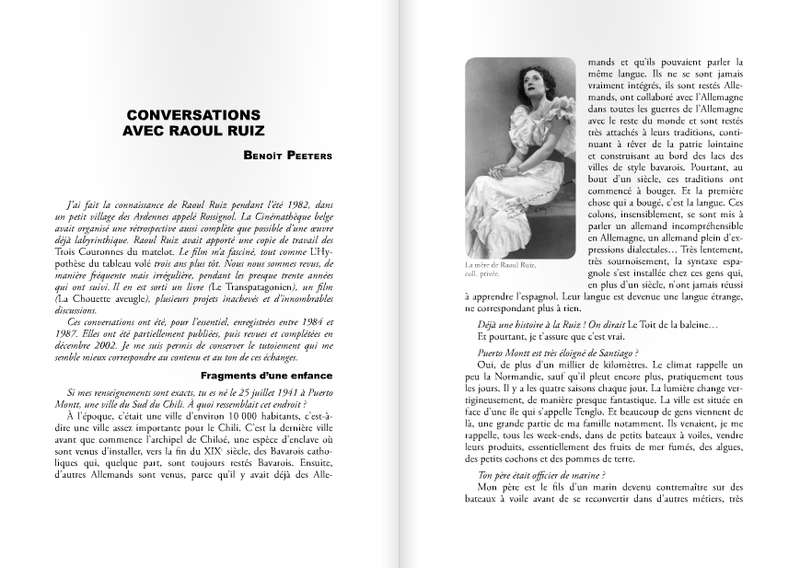 See also the official page of the book at Les Impressions Nouvelles.